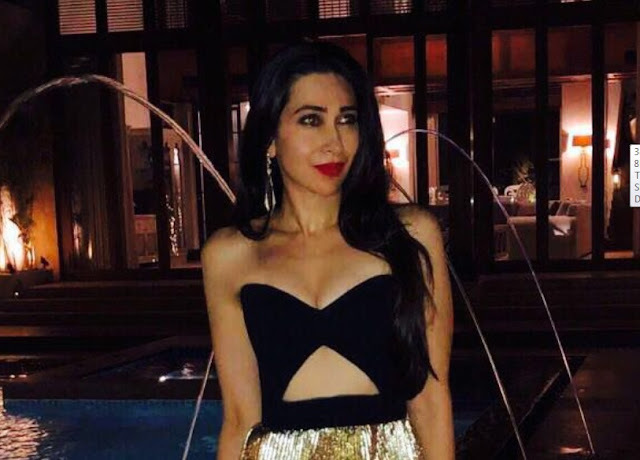 Actress Karishma Kapoor in Joules by Radhika Jewellery & Reem Acra outfit at her close friend Amrita Arora Ladak 's 40th birthday party. 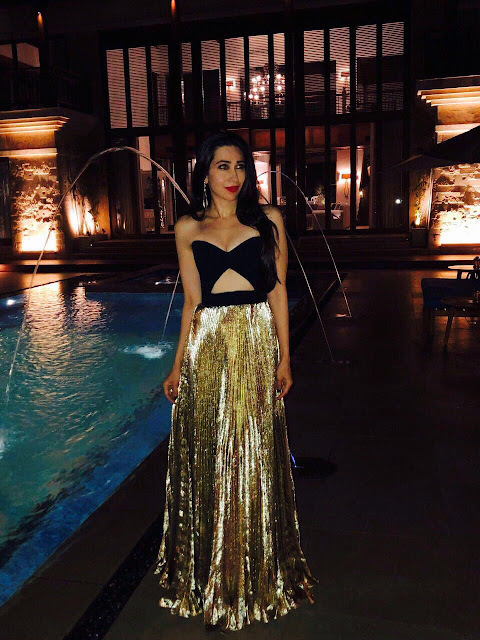 She looked super pretty! 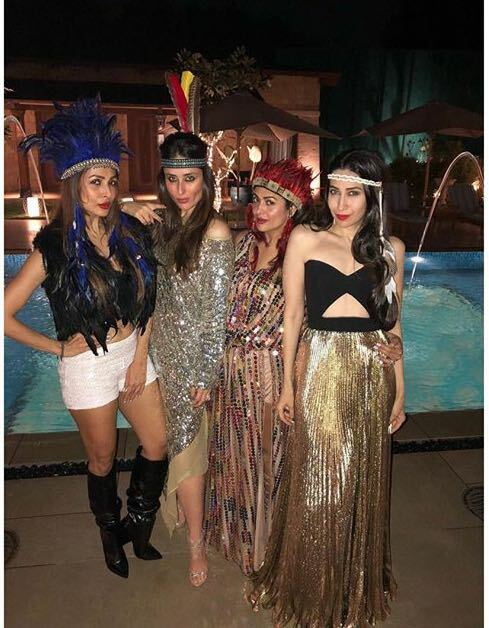 Dressed in her shimmery clothes adorning Mettalic gold earring and feathery headbands, the Actress dressed up for Amrita’s birthday bash and made it an eventful day for her.